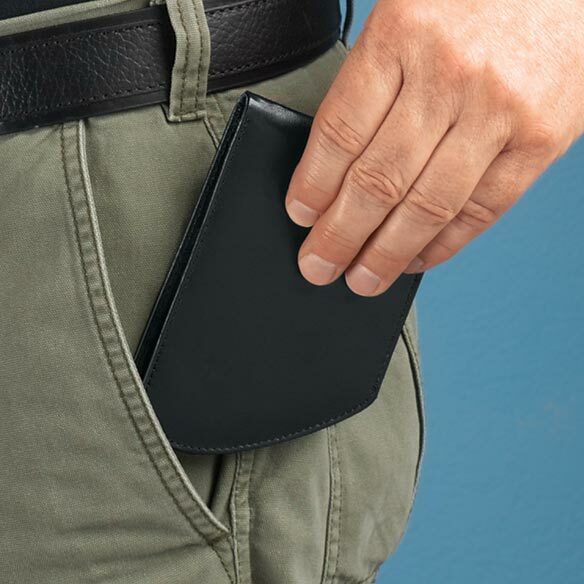 RFID front pocket wallet's unique linings block radio-frequency identification scanners to safeguard your personal information. 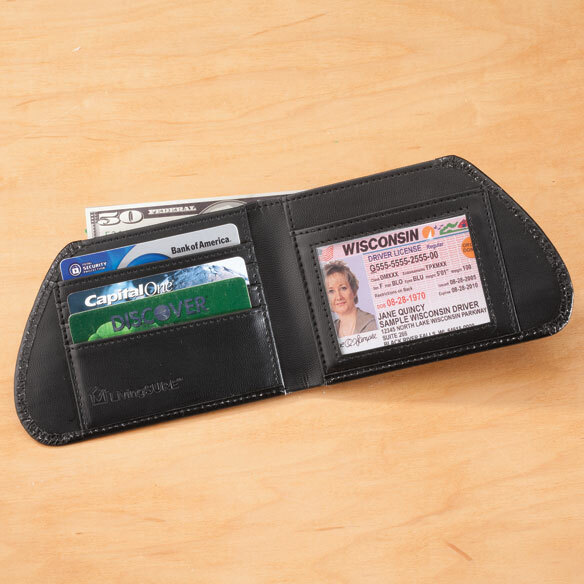 Leather front pocket wallet slips easily into a front pocket, safe from pickpockets and comfortable while sitting; measures 5 1/4" L x 3 1/2" W closed. Professional-clean genuine bonded leather. I have bought these several times in the past and they are very good design and quality. 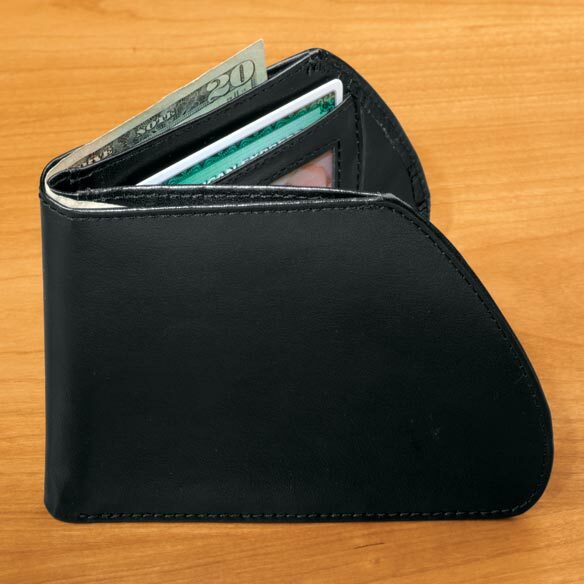 I want my husband to try a front pocket wallet. What I was look for. I chose this wallet for a friend is suffering with lower back problems so that he wouldn't have to carry his wallet in his back pocket anymore. The shape of this wallet really fits my pockets well. I work at a bank and a customer had a wallet like this. My husband puts his wallet in his front pocket and I thought this would be more comfortable for him. 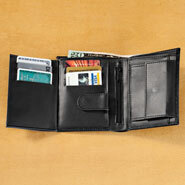 Front pocket wallet for security & comfort. Thought it would be a comfortable way for my son to carry his billfold and safer. Sitting on a wallet caused back pain for my husband. if you put-or wear your w3allet in front 2 things are accomplished security is 1 and the other most importantly is that doesn't shim or misaligned ur back when you sit down. For my husband. He already uses one. My husband got siatic pain from carring wallet in back pocket so I ordered one and he has wore it out. He loves it. My Dad has Parkinson's and he has difficulty removing his wallet from his back pocket.